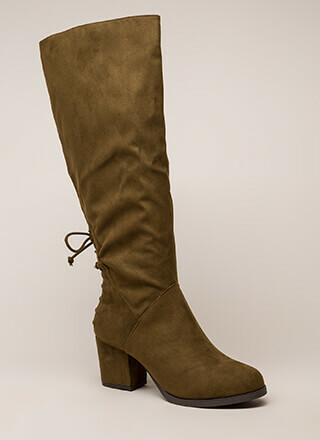 We're obsessed with mixing and matching these versatile boots for a go-anywhere look! 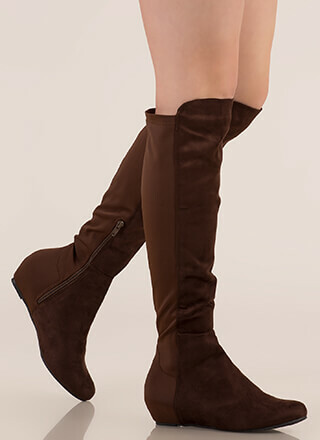 Semi-stretchy, round-toe boots feature a vegan suede upper with a nylon fabric back, a high-low topline on the shaft, and a hidden wedge heel. Partial side zip closure leads to a textured sole.